"Uh, well, I'll tell ya, I remember this one time - I'm in a Banshee at night in combat conditions, so there's no running lights on the carrier. It was the Shangri-La, and we were in the Sea of Japan... and my radar had jammed, and my homing signal was gone... because somebody in Japan was actually using the same frequency. And so it was - it was leading me away from where I was supposed to be. And I'm lookin' down at a big, black ocean, so I flip on my map light, and then suddenly: zap. Everything shorts out right there in my cockpit. All my instruments are gone. My lights are gone. And I can't even tell now what my altitude is. I know I'm running out of fuel, so I'm thinking about ditching in the ocean. And I, I look down there, and then in the darkness there's this uh, there's this green trail. It's like a long carpet that's just laid out right beneath me. And it was the algae, right? It was that phosphorescent stuff that gets churned up in the wake of a big ship. And it was - it was - it was leading me home. You know? If my cockpit lights hadn't shorted out, there's no way I'd ever been able to see that. So uh, you, uh, never know... what... what events are to transpire to get you home." I'm not exactly a space geek, but I recall vividly the Apollo launches and always expected that I, too, would someday be an astronaut. I realize how preposterous that is now, but to a grade school kid, well, it was a goal. The movie Apollo 13 is one of the classics, as far as I am concerned, and I manage to watch it two or three times each year. So, what does this have to do with numismatics? I'm glad you asked! Several days prior to leaving for the FUN show in Fort Lauderdale, FL, I was feeling run down. Actually, worse than run down and it wasn't just for several days. I saw my primary care physician and expected to hear the ubiquitous phrase "it's viral...just wait it out". However, I instead received arms folded across the chest and a solemn, "I'm worried...". A ten-day ban on travel followed and I started treatment for possible pneumonia. Obviously, the show was scuttled. I'm not one who keeps massive amounts of inventory squirreled away in the back and so the absence of FUN impacted quite heavily what I might be able to offer my clients. I wasn't happy; I was tethered to being local; and there would be nothing for my clients. "So uh, you, uh, never know... what... what events are to transpire to get you home." I could have first shot. Well, that was pretty dang nice! I hadn't heard of the accumulation prior to this and if I had been at FUN I would not have been privy to the conversation about the distribution of the coins. I hesitate to call this a collection and it isn't a hoard, but it might rather be termed an extensive accumulation over a period of years of generally nice pieces picked up one or two at a time. Imagine an estate liquidating a somewhat organized collection where no one has an interest in keeping the coins, but the executor knows enough to get the coins certified and I think you would have a pretty good idea of this lot. Fortunately, most of what was put away was fairly original and more fortunately, no one attempted to "clean up" the pieces. Somewhat unfortunately, the coins were sent to NGC. In truth, I like NGC and I think they do a fine job, but the broader market has spoken about a preference for PCGS certified coins even though the grading standards and grading windows of NGC and PCGS overlap significantly. 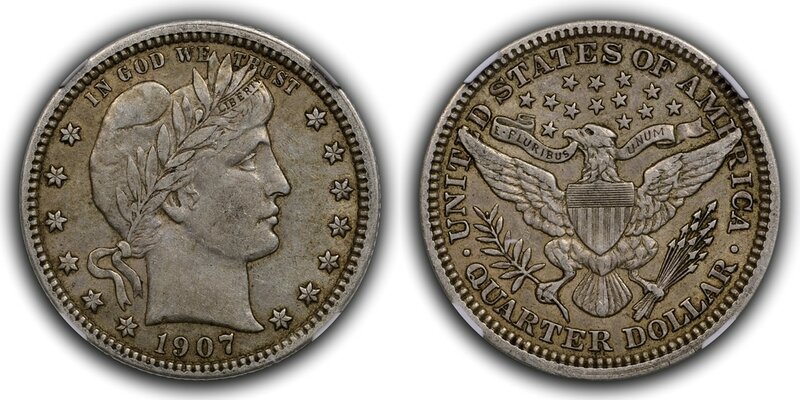 Where I see the greatest bifurcation in my niche (classic US type) is when coins go above or near the gem grade. Luckily for me, the great bulk of what I would inspect was circulated type. 1) The Indian Head cents were really original and attractive, but somewhat liberally graded. 2) The Buffalo nickels were represented by a run of all original, great coins that were, in contrast, conservatively graded. 3) The Morgan dollars were boring white coins generally in the low MS range. 4) There was a smattering of other type. A little of this and some of that; but the "this" and "that" were typically quite original with good eye appeal and high quality surfaces. The deal was simple; I get first shot and buy what I want at a higher price to net more for the clients and whatever was left would be offered to one or more wholesalers to be blown out to other dealers. After 500-coins I believe I managed to acquire 21-pieces. That was it. Twenty-one pieces out of 500-pieces from what I consider to be a far, far above average group of coins put away over the years. These will now be offered on my site. The only downside that I can see is that they were all certified by NGC and my client base prefers PCGS. However, these are generally circulated coins and the MS coins are Buffalo nickels where I believe in this case NGC was tough. It is interesting to note that they were all on the same invoice and so they have certification line numbers from 006 to 316. It will also be interesting to see if they sell, as they are wonderful coins even if the holder isn't preferred.